Do You want to Work with the Nigerian Prison Service? 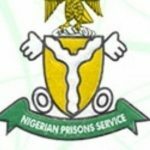 If you have been Shortlisted for the NPS Job Recruitment Test/Examination or You Intend to Apply for a Job at NPS, Then You are at the Right Place, This E book we are giving out for a token is an Updated and Comprehensive Nigerian Prison Service (NPS) Past Questions and Answers, This past questions consist of English Language, Mathematics and Current Affairs which normally cover a wide range of area including the History of Nigeria. After payment, send a text to this number 08060833386 containing your full name, email address and NPS Past Q & A. Once your payment is confirmed, we will send your E-book to your email immediately. 2. Send a recharge voucher worth N2,500 with your full name, email address and NPS Past Q & A. We will send your E-book to your email immediately. Wow! Such prompt response. Received the NPS past questions and answers in my email in less than 10mins after payment. I have recieved the questions and answers, thanks. Thanks Innocent, I got the past questions with solved answers. I have received NPS and FFS past questions and answers. 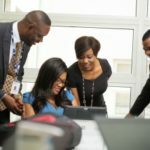 That’s why we are here to publish latest Jobs in Nigeria and provide Job aptitude test past questions and answers including Job Interview tips. The three goes for five thousand five hundred naira only. Thanks Mr. Innocent, I recieved the past questions with answers sooner than I expected. How much will the FPS and FFS be? pls letst news about NPS? Wait for the list of Shortlisted Candidates to be released as you study your comprehensive past questions and answers. Thanks for the Past Questions You Sent. I paid for the material and in less than 20 minutes it was sent to my mail.What a reliable portal…Keep it up admin…. NPS Q&A received, thank you very much for your swift response. God bless. I just got mine…you can trust them.